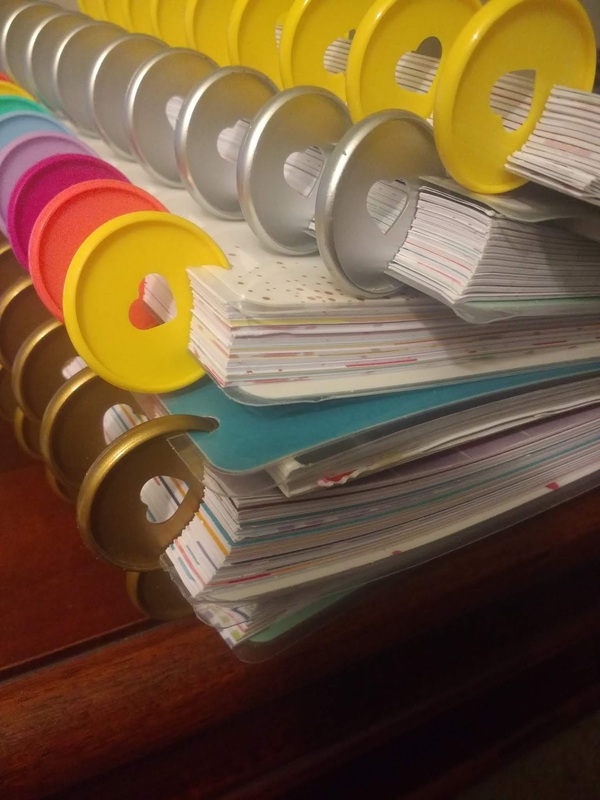 Is There a Such Thing As Too Many Planners? As I get ready for 2019, I have found that have five planners. 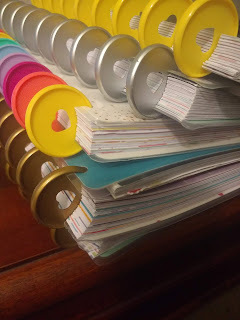 This immediately caused me to do a Google search on if there was a such thing as a planner addiction, but then I realized that this is just right for me. I use five planners. I understand that we live in the future and these things can be digital now, but I personally benefit from writing things out, and being able to decorate to make certain events stand out. We previously discussed how I use one as a content planner. That's not going to change in 2019, as I hope to continue to fill this blog with content related to the Millennial life. But I decided that I didn't really want to mix anything else in with my content planner, which is fair. It would get too bulky if I didn't keep things separate. Then I decided I needed a hobby planner. See, I try to fill my spare time with a lot of activities, but I feel overwhelmed by them. If I write down what hobbies I can work on on different days, I feel more productive, and I'm much more likely to do something other than binge Netflix all night long. But that's still something I wanted to keep separate from everything else. Then I have a budget planner. I'm okay with money, but I'm not purposeful with it and I want to be better. I decided I needed a place to write it all down and see where my money goes, and see what I can change to save more of it. It's also something I wanted to keep separate from everything else - are you catching on to a theme? Fourth, I have a work planner. At work, I'm in charge of scheduling and managing everyone's calendars. I just wanted a planner that I can carry into meetings so everything is in the same place, and I don't have a computer screen in front of me and whoever I'm talking to. And last, but not least, I have a planner for all my personal life appointments - doctors appointments, birthday parties - things I don't want clogging up my other planners. But planners are not inexpensive. They're also kind of bulky. 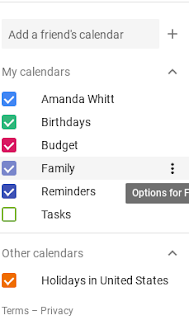 So I do use Google calendars as a backup, and I want to show you how you can use it as a primary planner so you can keep things together and separate all at the same time. The only thing is that you cannot decorate to make things stand out, but it could be you wouldn't benefit from that anyway. So, Google calendar is already something you have if you have a Google account. Most people do, whether they have a Gmail account, a YouTube account, or an Android phone. Google accounts are free to set up if you don't have one already. Once you've opened up Google Calendar, in the sidebar you can see a listing of your calendars. Hover over your name, and three dots on top of each other will show up. Click on that and choose to manage your calendar settings. On the settings page, at the very top is something that says "add calendar." Once that opens, you have an option to add a new calendar. You can choose what you want to name the calendar, and give it a description if you like. 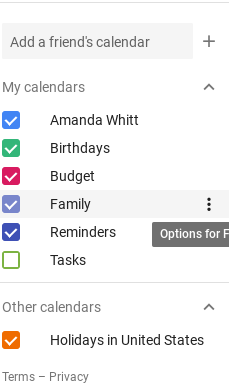 Once you click on create calendar, it will show up in your sidebar. This gives you the freedom to have as many calendars as you need to balance your life. You can have all of them on the screen at once, or you can uncheck them to hide that calendar's events and just focus on what you really need to. I still use digital calendars as a back up. I write reminders on different calendars - rent due on my budget calendar, doctor appointment on my personal one, etc. I don't go into the same detail I do on my written ones, but I do this for a few reasons. The first one being, I use five planners - that's just downright bulky, and this way I can just have quick reminders on my smart phone. The second reason I have a digital backup is that handwritten planners can't give you notifications. Sometimes it's nice to get an email or push notification that your nephew's play is tonight at 7. Finally, I use digital planners as a back up in case I lose a planner. It can happen. I lost my high school diploma twenty minutes after getting it. I'm not going to trust that physical planners can never be lost. This way, even if I don't go into the same detail as I do my physical planners, I don't lose important plans. Are you Team Written Planner, or Team Digital Planner? What is your planner routine? Let me know in the comments!